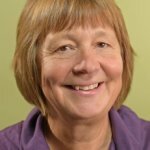 Sue is an accomplished Senior Health & Social Care Director and Clinician (Physiotherapy and Mental Health/ Psychotherapy) with board level leadership, business & service development and turnaround experience. She has an exceptional track record for winning and managing large grant awards relating to service delivery and buildings. Sue has extensive operational knowledge of health & social care services gained across children, young people and adult services in the Voluntary Sector, NHS (primary and secondary), Community Services, Private health care, and as an entrepreneurial Private Practice & Consultancy Owner.